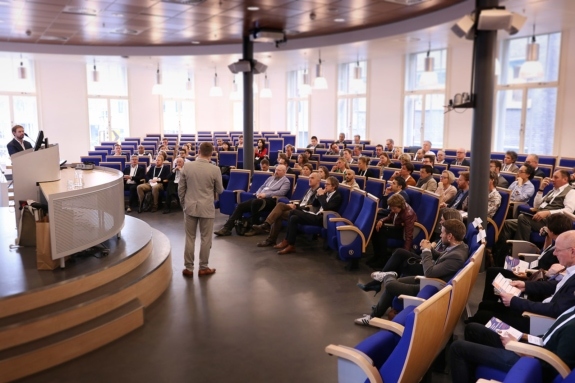 On 27 March 2019, the Centre for Innovation – Leiden University along with partners PwC The Netherlands, Uitvoeringsorganisatie Bedrijfsvoering Rijk (UBR) and CKC Seminars hosted the 2019 edition of the Agile for Excellence Conference. 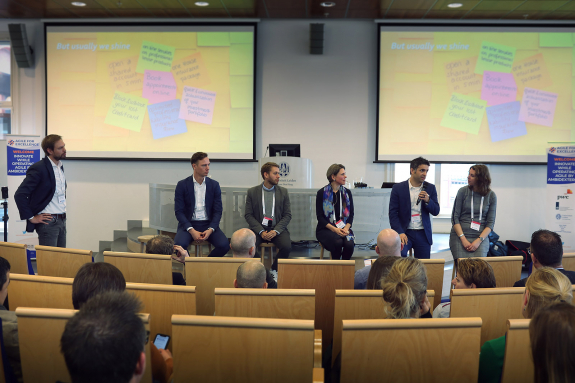 The conference brought together problem owners, change agents and researchers to explore the challenges that come about when balancing innovation and operation. “The ability to simultaneously pursue both incremental and discontinuous innovation…from hosting multiple contradictory structures, processes, and cultures within the same firm required for long tern firm survival” (Tushman and O’Reilly). 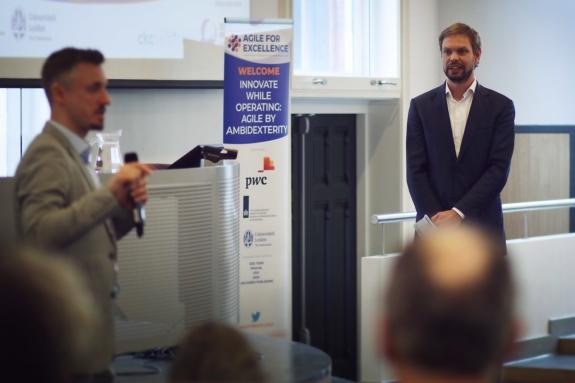 Over 100 participants joined in to explore this year’s theme of Agile by Ambidexterity. They delved into how organisations struggle with keeping up with our fast-paced world and creating new propositions and daily operations. Keynote speaker Allard Droste (right), professional dreamer, entrepreneur and best-selling author of the book ‘Semco in de Polder’ with CFI colleague Jesse van der Mijl. 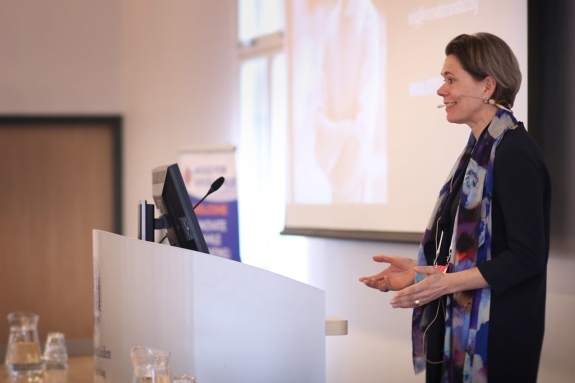 The morning started up with two keynotes, one from the Christoph Selig, a Senior Research Associate at IST Innovation Institute and another by Nieke Martens Head Digital Hub at the Digital Transformation Office of Rabobank. Selig talked about embedding small entrepreneurial teams in large organisations, as testing units which make use of agile methodologies to innovate the way organisations create value. While Martens talked about her journey at Rabobank and how she started small and scaled fast. It was great to see how theory was successfully mirrored in reality. The morning finished up with fishbowl conversation where speakers, students and participants were able to learn from each other’s experiences. Such as, how ambidexterity is not necessarily a team trait but rather can be embodied by individuals and how they work within them. Managing organisational transformation with corporate startups by Christoph Selig from the IST Innovation Institute. Agile management and creating ambidextrous teams by Murat Tarakci from the Rotterdam School of Management (RSM). 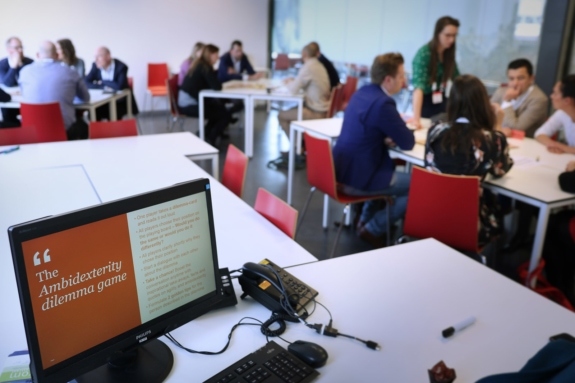 The Ambidexterity Dilemma Game by Anne-Maartje Reichmann, Anne-Maartje Reichmann and Roline Roos from PwC The Netherlands. One I-ecosystem: We are all in this together! Developing meaningful connections between government, business and higher education in an extremely tight IT-labour market by Cocky de Wolf from Utrecht University and Marc-Jan Kraaijenzank from the Dutch Ministry of the Interior and Kingdom Relations. 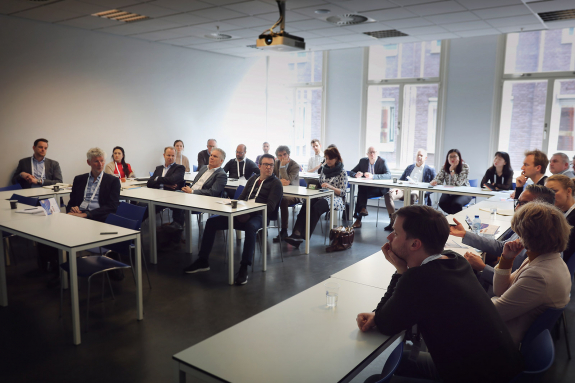 Lastly participants were able to hear from researchers focusing on innovation, agility and ambidexterity. The following researchers presented: Richard Oprins from Rabobank, Dr. Pieter Frijns from the Dutch Ministry of the Interior and Kingdom Relations, Robert Bierwolf from IEEE Technology & Engineering Management Society, Niya Stoimenova from TU Delft and Dr. Oli Mihalache from Vrije Universiteit Amsterdam. 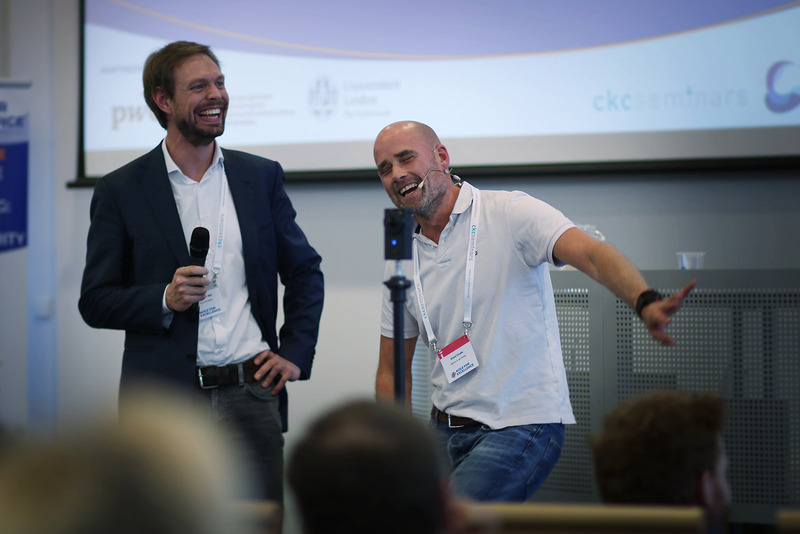 After Christophe Stettina recapped the workshops, participants were treated to the last workshop of the day from entrepreneur and bestselling author Allard Droste. He gave a practical and interactive session that was the perfect ending to the knowledge-filled day. 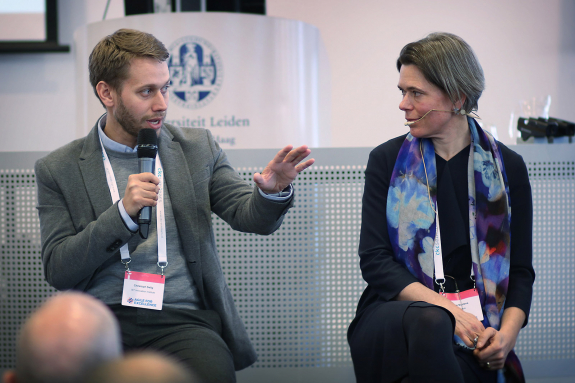 Droste highlighted that true agility comes about when there’s trust within the organisation, and this trust is paired with accountability all around. 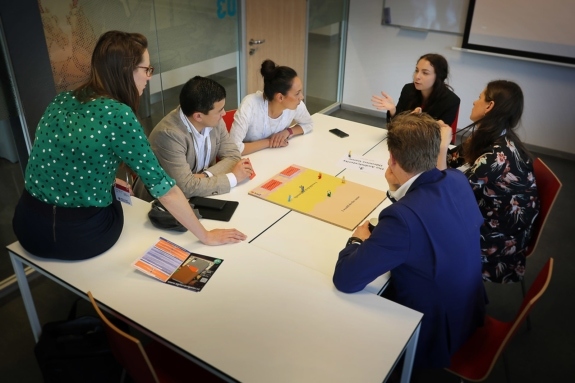 All in all, we would highlight how engaged the participants were and how this lead to lively discussions and working sessions.We were grateful to learn from so many different organisations what ambidexterity means to them and how they implement it in their working processes. 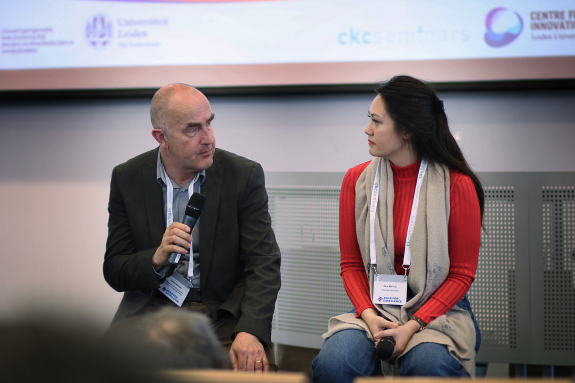 The Centre for Innovation is committed to innovating the way organisations work and how they adapt to the digital future. Don’t hesitate to reach out and see what we can do with you! 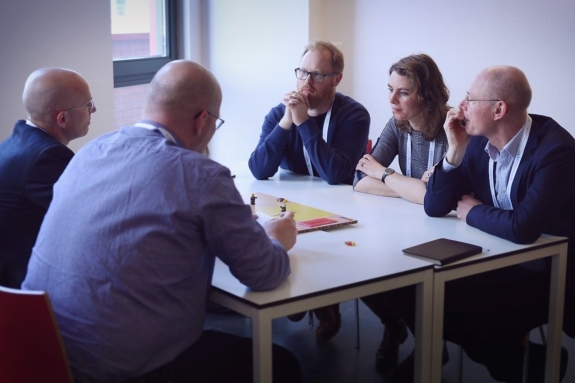 The Agile for Excellence initiative at Leiden University – Centre for Innovation supports organisations with methods for ideation, development and management of products and services. We do this through research, advice and education. Read more about the work we do! What would it take for a company like Palantir to become an acceptable ally? 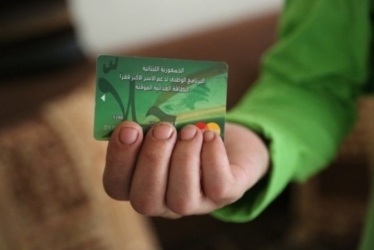 "The response to the partnership between WFP and Palantir points to a larger issue that urgently needs to be addressed by the humanitarian community." 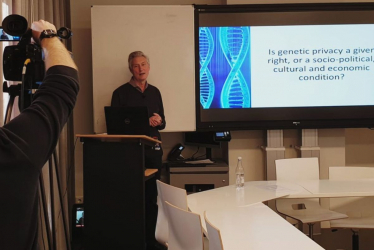 We explore new methods and technologies that shape the future of learning, whether at Leiden University or a local NGO. Our designers, researchers and makers work together with teachers, researchers, and students to build exciting, innovative products, projects, and prototypes. By subscribing to our newsletter you agree to our privacy statement. We take your privacy seriously...very seriously. Find our privacy statement in the footer of every page.